Live event video production is not for the faint of heart. 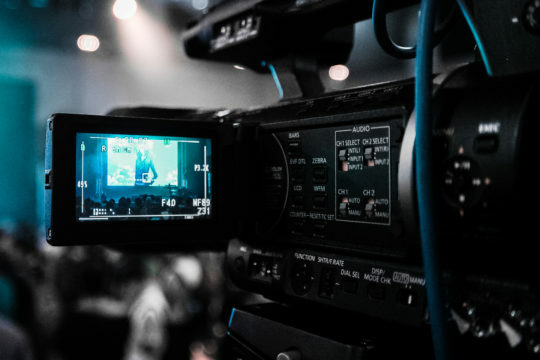 Unlike other corporate video scenarios – business or marketing training videos, promotional videos, and product videos to name a few – live event video is very different. You only get one shot to get it right. At Top Pup Media, we understand the high stakes associated with corporate live event video production. We use HD multi-camera setup to ensure that we don’t miss a single moment. We employ industry-standard, professional microphones, recorders, and camera gear to make sure your video sounds as good as it looks. Most importantly, we carefully plan every aspect of the live video shoot to ensure that we’re prepared for anything. Our focus is on you, your brand, and your message. We are true collaborators, working closely with you from planning, to execution, to distribution. Our sole aim is to showcase the best of your company and your brand with the best video production tools and technology in the industry. From professional cameras to noise-cancelling audio equipment, Top Pup Media has the capability to provide broadcast-level quality at a price that works for your bottom line. Our extensive experience with corporate video production, and specifically live event video, means you can rest easily and simply focus on your event. Go live with Top Pup Media and experience the professionalism and quality your live event video production needs. We’ve captured countless live events, from business conferences to trade shows, corporate retreats, and beyond. Mattress Firm BedTalks Conference – This events video captures Mattress Firm’s four-day conference, utilizing interviews, coverage video, drone and time-lapse. AcuSport Conference Recap Video – This promotional video utilizes event coverage from AcuSport’s annual conference. Encore Live – Promotional video for Live Events Company, Encore Live. Mattress Firm Live Event Video – Live event coverage of Mattress Firm’s presence at the State Fair of Texas, including interviews and coverage. Mattress Firm Music Video – Mattress Firm employees do a one-take version of Uptown Funk in this music video for a live event conference. Whether you’re in need of live broadcasting services or just ensuring that your entire audience can experience your presentation, Top Pup Media is there to make sure that you’re looking and sounding your best. Whatever it takes – at music, unique perspective, proper equipment, – Top Pup Media knows and is excited to be apart of your live event. So why is Top Pup Media the best choice for your next live event? We understand that a well-made, live-event showcase transports the viewer to the time and place of your event. This is your time to shine, and you need a professional, production company ready to capture your live event. Our experience in the field, top-of-the-line equipment, and dedication to your success are a recipe for a successful live video production. Book Top Pup Media for that upcoming event!